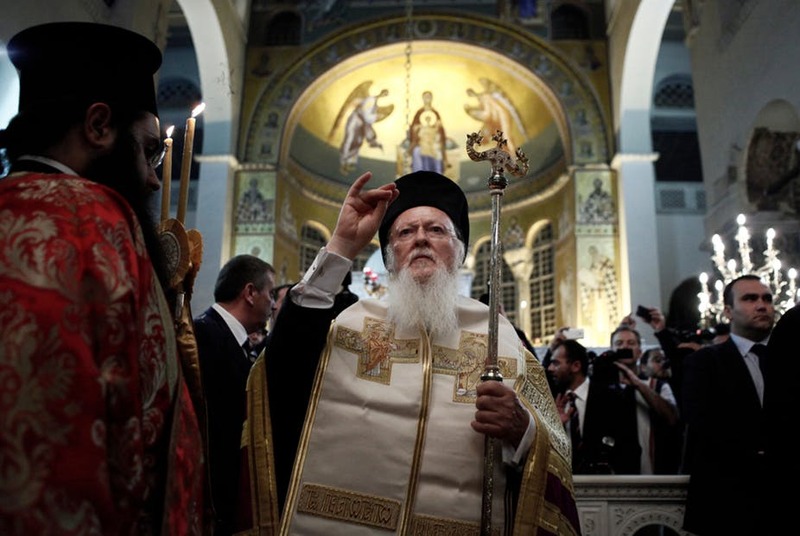 24 Oct 2018 – The Moscow Patriarchate recently announced that it is breaking its ties with the Patriarchate of Constantinople, triggering what is potentially the biggest split in the Orthodox Church in a thousand years. So why is one of the great defenders of Christianity tearing itself apart? The tussle between Moscow and Constantinople is over Ukraine, and Constantinople’s declaration on October 15 that the Ukrainian church is no longer part of Moscow’s patrimony. And behind this is Ukraine’s divided national identity – and the woes of its current president. There have long been two main Ukrainian identities: Eastern Slavic (or Little Russian) and Ukrainian. The first stresses the common origins and culture of Ukraine and Russia. An important element of this common heritage rests on the 988AD baptism of Rus in Kiev, the capital of Ancient Rus, seen in Russia as the crucible of the Russian people. Indeed, the Russian president, Vladimir Putin, stresses today that Russians and Ukrainians are practically one people, a sentiment that inspired the concept of the “Russian World” and was used to justify Russia’s 2014 aggression in Ukraine. Unsurprisingly, the Ukrainian authorities are worried about this potential threat to Ukrainian statehood. In response, they turn to Ukrainian nationalism with its insistence on the inherent antipathy between Russians and Ukrainians, and the view of Russophone Ukrainians as an artificial product of Russian colonialism. A corollary to this has been the desire for a Ukrainian church independent from the Moscow Patriarchate. The current drive for an independent church began on April 17, 2018 – with an announcement by Ukraine’s president, Petro Poroshenko. 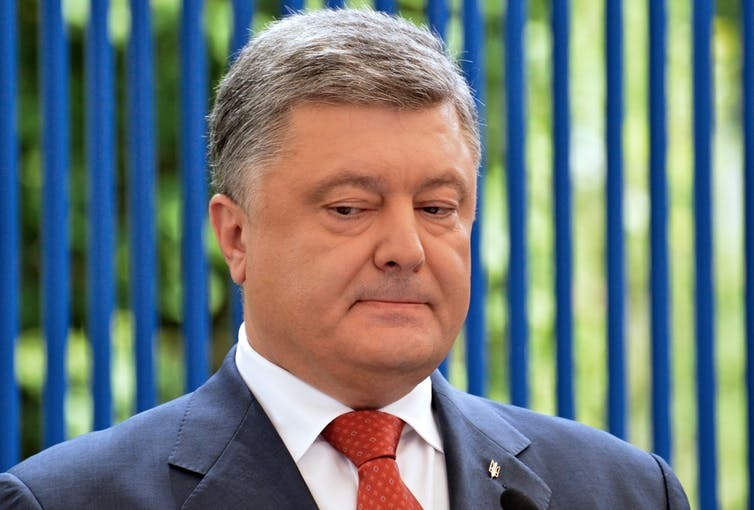 Poroshenko faces reelection in 2019 and his ratings are dismal. A large part of his problem is that many of his earlier promises have fallen flat. He promised to win the war against separatists in the Donbas region, but suffered a humiliating defeat by them and Russian regulars in September 2014. The economic renaissance he promised through an association agreement with the EU didn’t materialise and in 2018 Ukraine became the poorest country in Europe. Membership of the EU and NATO looks more remote than ever. And his fight against corruption has got nowhere with Poroshenko himself marred in scandals. And so Poroshenko desperately needs to boost his ratings with something quick, tangible and appealing to the nationalist/patriotic electorate. Consequently, he has staked everything on securing independence for a Ukrainian national church, and turning himself into a Ukrainian Henry VIII. But Ukraine has an extremely diverse religious life, with three main rival Orthodox churches. First is the Ukrainian Orthodox Church of the Moscow Patriarchate (UOC MP), the largest church by parishes, priests and monks. Ukrainian nationalists accuse it of being Moscow’s fifth column, but it’s been independent in its finances, how it appoints priests and bishops, and in its relations with the Ukrainian and Russian authorities. Then there is the Ukrainian Orthodox Church of the Kyiv Patriarchate (UOC KP), a self-proclaimed church since 1992. Until recently, it was not recognised by other Orthodox churches, but always enjoyed support from pro-Ukrainian politicians. It is about a third the size of the UOC MP with about 5,600 parishes, though it has only 3,500 priests, mostly concentrated in Western Ukraine. Finally, there is the Ukrainians Autocephalous Orthodox Church (UAOC), founded in 1917 and continued in the Ukrainian diaspora, before reestablishing itself in post-Soviet Ukraine. This is the smallest of the three, with less than a thousand active parishes, again mostly in Western Ukraine. So how would a new, national church fare? The Moscow-aligned UOC MP is by far the largest church with 12,000 parishes and around 10,000 priests. So, without a major defection from it to the new church, of which there is scant evidence so far, the whole exercise will be futile – especially as there is no indication yet that the two pro-Ukrainian churches will merge into the new church either. 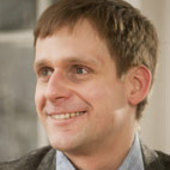 A new church in Ukraine? Then there’s the role of the Patriarchate of Constantinople, under its head Bartholomew I. The Patriarchate of Constantinople has the status of the “first among equals” as the main church of the old Christian Byzantine Empire. However, this doesn’t give it ultimate authority among the 15 independent Orthodox Churches. Since 1453, it’s been situated in a predominantly Muslim country (first the Ottoman empire and then Turkey), and it controls relatively few parishes (it doesn’t even control most of Greece). Extending its influence into Ukraine at the expense of the rival Moscow Patriarchate, therefore, must be a tempting prospect, even if it creates a powerful enemy in Russia. An Orthodox church in Kiev, Ukraine. ShutterstockGiven this, it was an easy sell for Poroshenko, particularly if you look carefully at what the Patriarchate of Constantinople has done so far. First, it did not actually grant independence to a Ukrainian national church. Instead, it lifted the excommunication from the heads of the two “rebel” Ukrainian churches – the UOC KP and the UAOC. It also rescinded the letter of 1686 which authorised the Moscow Patriarch to appoint the Metropolitan of Kiev, thereby assuming that power itself. Finally, it promised to “proceed” to the granting of “Autophecaly” (independence) to a unified Ukrainian church – this makes granting independence a process, rather than a definitive result. In the meantime, the Ukrainian authorities granted the Patriarchate of Constantinople rights to a major cathedral in Kiev. The Patriarchate of Constantinople is the clear winner so far. It has assumed leadership over two Ukrainian churches – the UOC KP and the UAOC – roughly equal in size to all its other parishes, and secured valuable property in Ukraine. It can now “proceed” towards granting independence while waiting for the outcome of the presidential elections. Indeed, this “proceeding” may last indefinitely now the CP has got all it wanted from Poroshenko. In the absence of a large voluntary defection from the Moscow-aligned UOC MP, it is unclear what the authorities will do next. New laws are about to be passed giving local authorities, rather than parishioners, the right to determine which church a parish belongs to. This might lead to forceful changes of affiliation and potentially bloody conflicts over church properties. All this raises a bigger question about Ukraine’s future. It has traditionally been a diverse, equally balanced society. But the pro-Europe 2014 Maidan revolution and the Russian aggression that followed – including the loss of Crimea and half of the Donbas region to Russia and separatists aligned to it – changed the balance. 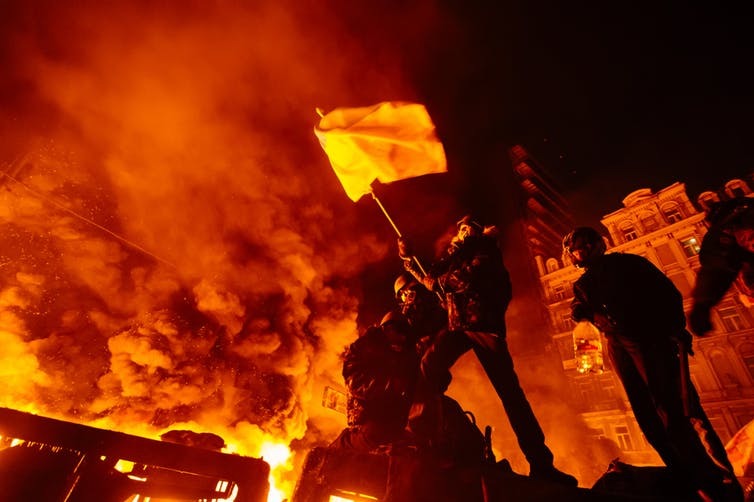 The country is torn between its Russophile population (now reduced in size and political influence); those hoping for a more liberal, open society with closer ties to Europe; and, aligned with them, the Ukrainian nationalists. The government’s nationalist tendencies have driven it to launch restrictive policies on Russian and other minority languages, create laws to eradicate Soviet memory – and now attempt to force a new church on the country’s Orthodox believers. These policies might strengthen the Ukrainian state by creating a consolidated identity by force, but equally weaken it by alienating Ukraine’s large minority groups. What it certainly won’t do is create the open, liberal society which was one of the aims of 2014 revolution. To make a success of it, the demand for independence should come from within the church, not be imposed upon it by the state. And at the moment, the vast majority of the UOC MP are determined to maintain their traditional affiliation with Moscow. Above all, they are unwilling to be a pawn in the reelection campaign of an extremely unpopular president – and attempts by the Patriarchate of Constantinople to increase its power.